I don't know if it's because of my carrier, the fact that I'm an American or that people are out to get me (at least, that's what the voices tell me). Anyways, I just received notice that there is an update for BBM for BlackBerry 10, albeit two days after it was pushed out. So, I figured that if I got it late, some of you did as well or maybe not at all. 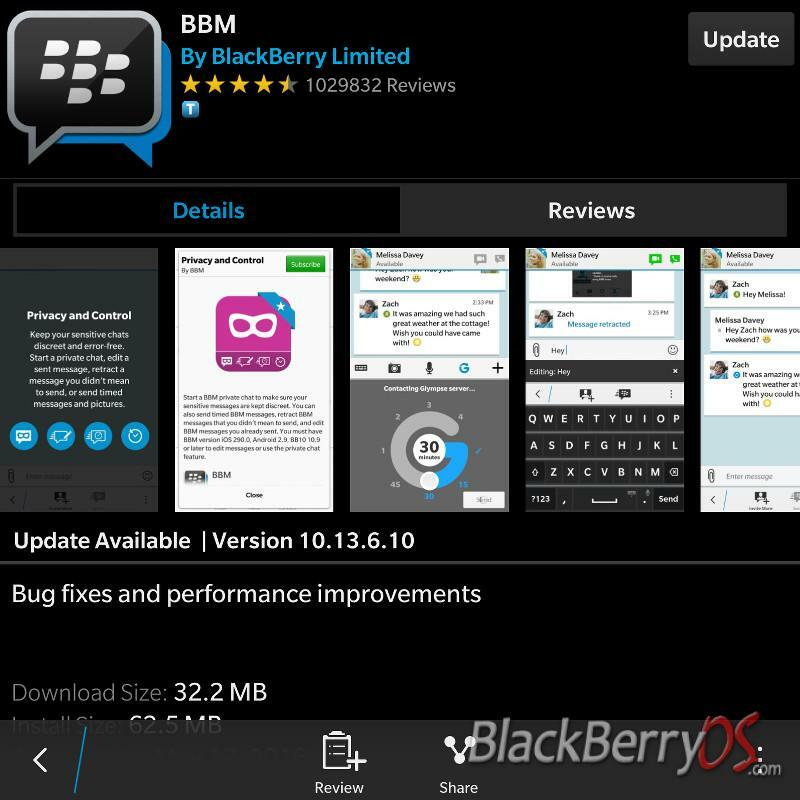 BBM has been updated for BlackBerry 10 to version 10.13.6.10 which included the ever prominent bug fixes and performance improvements. As it usually is, there is no change log with this update but BlackBerry did update their BBM versions for iOS and Android recently, so it was only fitting that BlackBerry 10 would get it eventually. If you didn't get the notification, then check your My World of the BlackBerry World and get your update on.